Hello to you, my valued clients. It’s been a while since I’ve sent a newsletter, but here I am! I have been involved in treating, teaching, learning and training which is my excuse for no newsletter! I have now become a qualified NLP (Neuro Linguistic Programme) Practitioner and Time Line Therapist. I’m consolidating my learning at the moment and am looking forward to being able to incorporate these impressive and extremely helpful modalities into my practice. The 60km/100km Oxfam trail walk from Lake Manchester to Mt Coot-tha takes place in the middle of June. I have been conscientiously training with our team, ‘In Therapy’. Regular treatments and my own self-help therapy have got me primed and ready to go! It has been so therapeutic to spend time in the great outdoors. I had no idea that there were so many trails in my local area! I am being constantly reminded, as I train, of the multiple benefits of being in nature and of exercise (even mild) in the open air and in nature. My body, mind and spirit all agree with me! I thought I’d share this article about the psoas muscle, the treatment of which underpins the Emmett Technique. 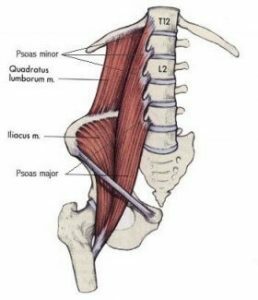 It is often the first muscle that I check and address (you may remember me giving you a little push in the back to check your balance) because, if the psoas is balanced, so many other parts of you can come into alignment, setting the body up to more readily adjust areas causing discomfort. 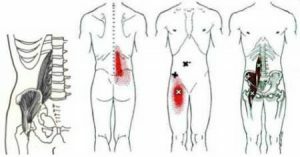 The really good thing about treating the psoas using Emmett is that is very gentle and effective. Some other modalities need to dig in very firmly to influence it. The psoas is connected to the diaphragm through connective tissue or fascia which affects both our breath and fear reflex. This is because the psoas is directly linked to the reptillian brain, the most ancient interior part of the brain stem and spinal cord. It’s a pretty impressive muscle! Two of my colleagues will be conducting the one-day EMM-Tech course here at my clinic on Sunday, August 7th. On the day you will learn 11 easy and effective releases which address issues such as neck turn, lower back pain, swollen ankles, restriction in squatting…So good to use on yourself and others. It’s a very practical, informative and enjoyable day. I will be beginning a new set of Emmett practitioner modules in September. If you are interested in attending either of these events, you can contact me, or follow the links on my website. Many of my clients have experienced some very significant improvements. I thought I’d share a couple with you. I suffered from a painful shoulder for a few months; however, when it became too painful to drive the car I contemplated surgery. I was recommended to Colleen by a relative of mine. Being a medical practitioner I was rather sceptical about this treatment but it sounded better than surgery. After the first treatment my range of movement of my arm doubled to what it was and I was able to drive home. After my second treatment I had full movement of my arm with very minimal pain. It is now nearly three months since this last treatment and I have had no further trouble. What a way to avoid surgery and I am very grateful to you for what you have achieved. At the age of 84 I thought nothing but surgery would fix me. Colleen Kelly has treated me for the past 5 months. I have severe Fibromyalgia Syndrome and have been housebound, mostly bedbound for years. I don’t know how Emmett works, but in conjunction with regular physio, I really feel it has made a difference. On two occasions the extreme knotted pain in my neck eased dramatically while being treated. And my TMJ and inner ear pain from long term inner ear inflammation, while still there, the intensity has reduced with Emmett treatment. Colleen is professional, generous, and a natural born healer. My illness is very difficult to treat but I have found relief from Emmett therapy – when even strong painkillers don’t help.